(Guitar Chord Songbook). 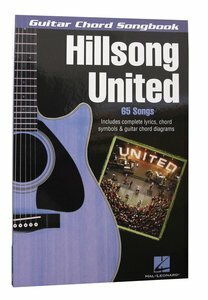 65 top worship songs from Hillsong Church in Australia and their bandleaders Marty Sampson and Joel Houston. Songs include: All About You * Break Free * Everyday * From the Inside Out * God Is Great * Look to You * Now That You're Near * Salvation Is Here * The Stand * To the Ends of the Earth * and more. Includes complete lyrics with chord symbols and guitar chord diagrams. 6 x 9 . About "Hillsong United (Music Book)"
Dennis Gruending is a former Member of Parliament from Saskatchewan. A journalist by profession, he has worked for three newspapers and as a producer and host for CBC Radio in western Canada. He is the author of four previous books, including biographies of Emmett Hall and Allan Blakeney, and The Middle of Nowhere. His articles, stories, and poems have appeared in NeWest Review, The Canadian Forum, New Internationalist, Maclean's, and Reader's Digest.